Sun, sand, surf, diving and fishing or simply lull the long summer days away with book in hand.... everyday's a holiday when you're at the beach! Relaxed and welcoming this classic family bach is well suited to the rough and tumble of family life at the beach. Enjoy a sneak peak through to the sea from the oversized semi separate lounge, while the combined kitchen and dining opens out to a sheltered north facing deck. All three bedrooms are double in size allowing plenty of beds to accommodate visiting family and friends. 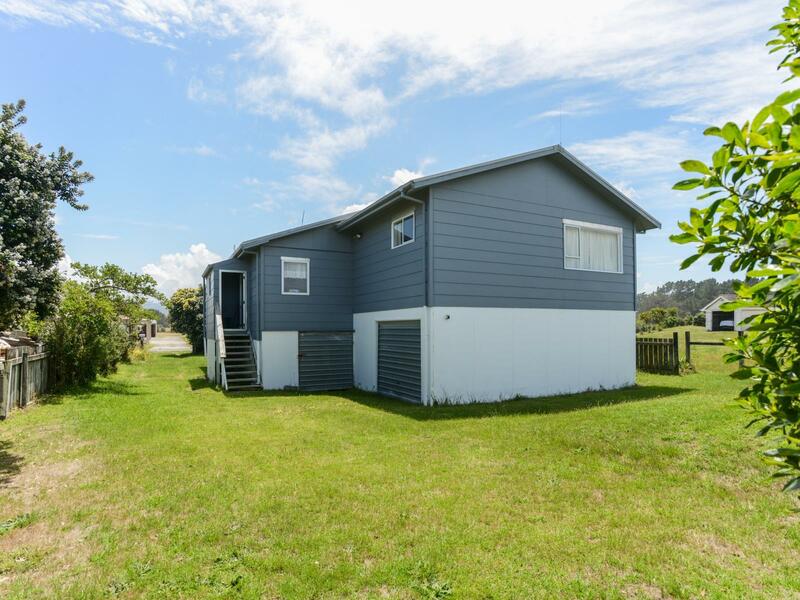 Fantastic under house storage for all the beach toys with ample lawn area to park the boat and pitch a tent while being a short stroll to the sand! Stove, Fixed floor coverings, Curtains, Light fittings, Household chattels to remain with property other than personal effects.